Which is sort of what this recipe is about. Jack absolutely loves cheerios – but I’m well aware that they contain sugars which I’d rather he didn’t eat. 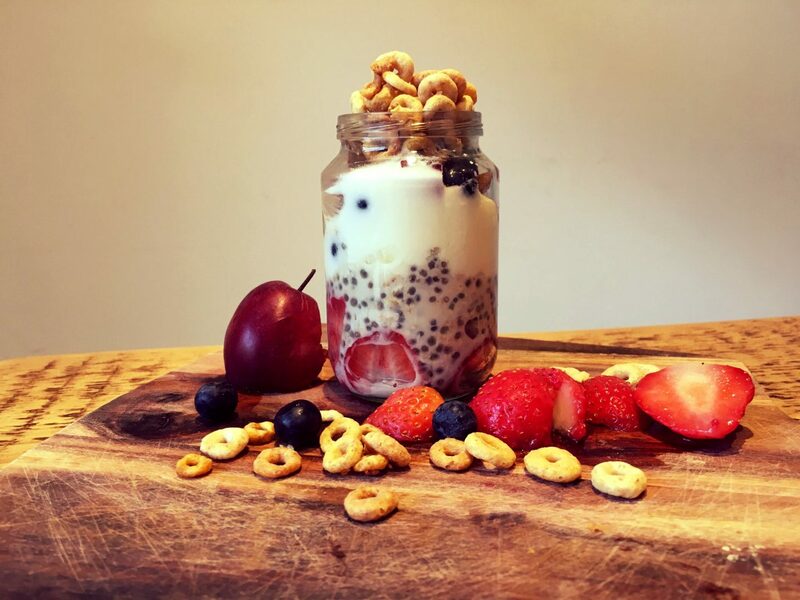 So this breakfast is a compromise – he can eat his cheerios, and have fun dunking them in the milky yogurt, but he also enjoys the chia which despite their teeny tiny size, are amazingly packed full of nutrition and are a great source of fiber, protein, omega-3 fatty acids. The night before the morning you plan to eat this, you will need to carve yourself out literally 30 seconds to prepare the below. And it’ll be the best spent time of your day, I am telling you. Grab a bowl, and fill it three quarters way to the top with a milk of your choice (I use almond, dairy-free milk but any milk will do. I want to try it with coconut milk) Add the oats, cinnamon, and vanilla essence. Then grab a generous handful of chia seeds, and mix everything together. Cover with some clingfilm, place in the fridge to soak (you can also leave to soak for a few hours but it always seems to taste better when left to soak overnight). Next Post Multivitamins For Kids – Yes or No?